Shawn Smith has heard the promises before. When new hotels sprang up near the public housing complex in Queens where he's lived for 17 years, residents were told they would bring jobs and economic opportunity. He hasn't seen any of it. So he's cynical about the announcement this week that Amazon will build a headquarters for 25,000 workers on the Long Island City waterfront, a half mile from his home. Elected officials gleefully promised that Amazon's presence will buoy all of western Queens. Smith is not so sure. "The hotels here, they're not hiring nobody. They're bringing their own kind," said Smith, who commutes to a construction job in New Jersey. "That's how I feel about Amazon." His wasn't the only skeptical voice among the roughly 6,400 residents of the Queensbridge Houses, the largest public housing complex in the U.S. Residents, most of whom are black or Hispanic, expressed hope that there might be something for them in Amazon's hiring bonanza to offset the pressures of neighborhood gentrification. But they are taking the promised opportunity with a grain of salt. "Let's see if they hire from around here," said Fontaine White, 54, who has lived in Queensbridge for eight years. "I think it's a good idea, provided you remember we live here, too. If you put Amazon in Long Island City, we're part of Long Island City." City and state officials promised at least $2.8 billion in tax credits and grants to lure Amazon to Queens, where it would occupy a new campus built around a formerly industrial boat basin. Big Question for Amazon's 2 Chosen Cities: Will It Pay Off? New York Gov. Andrew Cuomo and New York City Mayor Bill de Blasio, both Democrats, have heralded the deal as good for everyone. De Blasio, who won office on promises to address the widening gap between rich and poor in the city, said Amazon has pledged to give money for job training programs for public housing residents, provide space for a new school and pay into a city fund that will be used for projects that benefit the community. "When you add that kind of number (of jobs) into our economy, you're opening a lot of opportunity for everyday people," de Blasio said Friday during his weekly appearance on the Brian Lehrer Show on WNYC radio. He said Amazon's presence would lead to "a lot of jobs for young people coming out of our public schools, coming out of public housing, coming out of city universities. And that's crucial to addressing inequality." The big government incentives for Amazon have sharply split the Democrats who dominate state politics. U.S. Sen. Chuck Schumer issued a statement in support of the deal. The state's junior Senator, Kirsten Gillibrand, tweeted that "one of the wealthiest companies in history should not be receiving financial assistance from the taxpayers while too many New York families struggle to make ends meet." The city councilman and state senator representing Long Island City are exploring ways to try to block the subsidies. About 100 people attended a protest of the deal this week. New Yorkers who ride the subway through Queens have wondered how the neighborhood will handle additional commuters. The station closest to where Amazon would be located already has an average daily ridership of 23,672, making it among the system's busiest. Queensbridge Houses has also factored heavily in the public discussion. 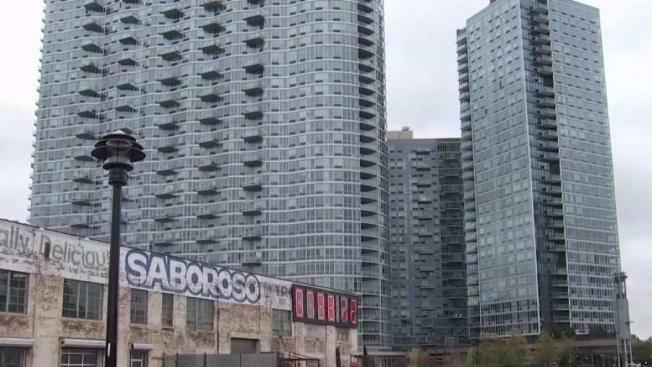 For decades, the 26-building housing project in the shadow of the Ed Koch Queensboro Bridge was known for being a rough place. It factored big in Hip Hop history, producing talents including Marley Marl, Roxanne Shante, Nas, and Havoc of the rap duo Mobb Deep. Crime has abated substantially in recent years. Queensbridge was celebrated for going nearly two years without a shooting before the streak ended in 2017. But like most New York City housing projects, residents complain of poor conditions, unreliable heat and hot water, and rats and roaches. The same week officials celebrated their willingness to let Amazon avoid billions of dollars in taxes, a federal judge rejected a consent decree that would have had the city pay $1 billion over four years and an additional $200 million annually for the following six years to fix deplorable conditions in public housing, saying it didn't go far enough. There are "a lot of issues with housing not fixing things, not doing things," said Lisa Cruz, 40, an office manager who has lived in Queensbridge for 12 years. "It's really bad." The area around Queensbridge has already been changing fast. Luxury condominiums have sprouted. JetBlue's corporate headquarters is a modest walk away. An artisanal brewery moved in. Hotels, once rare in outer boroughs, have sprouted, taking advantage of safe streets and quick access to Manhattan. A big waterfront park was spruced up. "The neighborhood is a lot cleaner than it was. There's been a lot more changes. A lot more police officers around," said Cruz, a mother of four. But prices have gone up in local grocery stores and increased congestion has made parking difficult. "It's unfortunate that it has to take for new hotels to come in, and new buildings and new storage units for fancy-schmancy stuff," Cruz said. "The park has changed so much. That's something we enjoy, but how many years did it take for them to fix Queensbridge Park for us in the community to enjoy it?" Ashley Nieves, who has lived her entire 21 years in Queensbridge, was concerned that Amazon's arrival would make the neighborhood more expensive, but was hopeful it would lead to job opportunities. That would be a trade-off she was willing to live with. "If you hire more people, especially people who live in the projects," the mother of two said, "it's kind of like opening doors to live better."